With thousands of visitors, the Presidential Inauguration Day and surrounding events pose the most heightened security and monitoring challenges for the Washington D.C. Metro PD. 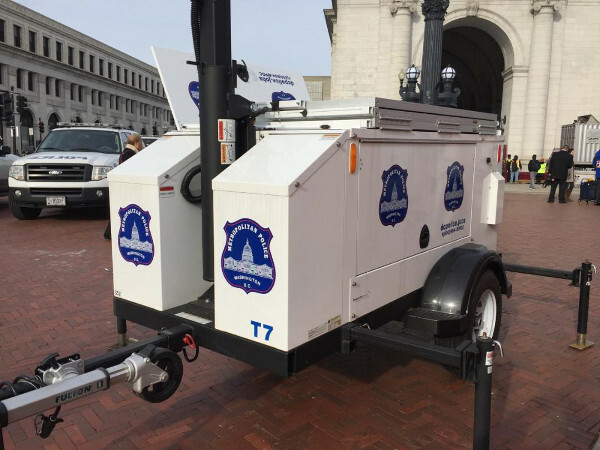 The department prepared for the responsibility of securing public safety amid the large crowds by strategically deploying its Commander 3400 trailers around the city. The Commander 3400 surveillance camera trailers allow 24/7 live and remote monitoring and provide a visible presence of active surveillance to assure the public.